Carly is a paediatric speech pathologist with a special focus on infant and paediatric feeding difficulties. She graduated from La Trobe University in 2003 with a Bachelor of Speech Pathology with Honours. Carly has had previous appointments at the Royal Children’s Hospital, Northern Health, the Royal Women’s Hospital and Vision Australia, all of which developed her passion for working with babies and young children. She has been active in research through nine years at the Murdoch Children’s Research Institute on various research projects on infant and child development. 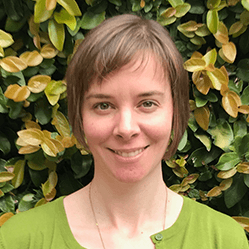 While working at the Royal Children’s Hospital in 2009, Carly completed a Graduate Diploma in Infant and Parent Mental Health at Melbourne University and later went on to work for the Alfred Child and Youth Mental Health service in their Infant Mental Health team. Carly has particular interest and experience in working with children with gastrointestinal conditions such as reflux, eosinophilic oesophagitis and constipation, allergy, congenital heart disease, prematurity, growth faltering, and tube feeding. She works with feeding and swallowing in breastfeeding and bottle feeding babies up to school-aged children. Carly currently holds a public appointment at the Royal Women’s Hospital in the Neonatal Intensive and Special Care Unit and consults in her private feeding clinic, Babble & Munch Speech Pathology in Eltham. Carly is also active in teaching, training and mentoring other speech pathologists and health professionals in paediatric feeding. When not working, Carly enjoys spending time with her family, enjoying nature, and a good book.